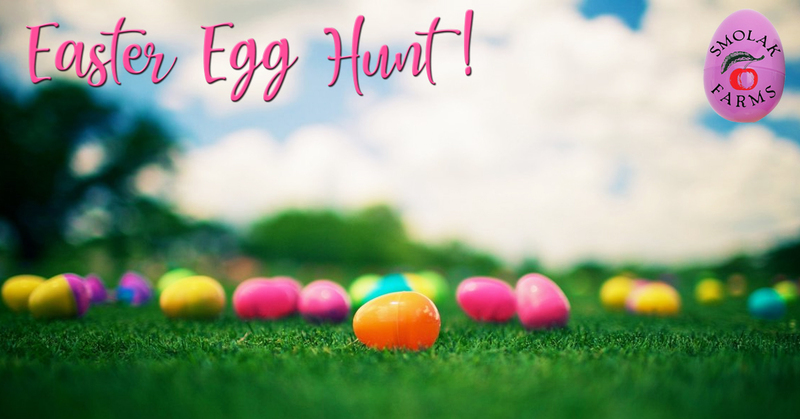 2019 Easter Egg Hunts are SOLD OUT! Come to Smolak Farms for our Annual Easter Egg Hunt! Enjoy crafts, games, hay rides and special treats and prizes… and don’t forget to take a picture with our friend, The Easter Bunny! There are 3 different Easter Egg Hunt times today: 10:00am, 12:00pm, and 2:00pm. We recommend you purchase tickets in advance to reserve your spot, as the hunts tend to fill up quickly!